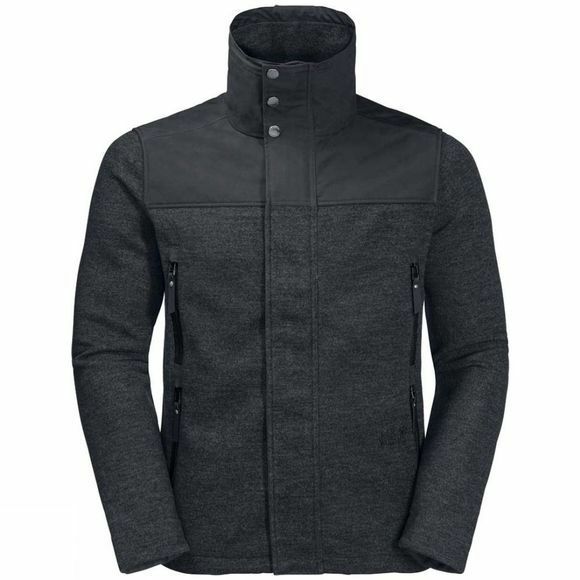 The Mens Edomonton Jacket from Jack Wolfskin is Autumn Winds won't bother you when you're wearIng the Edomonton Fleece Jacket. It's Windproof, you see. The Stormlock fabric has a stylish Wool-look fInish. The shoulders are reInforced with a water resistant fabric.